Double layered Obscura screens provide the total blackout needed to manage plants that need a shorter day than daylight hours allow. Single layer Obscura is used with supplemental lighting for plants that need additional light. It keeps the light inside the greenhouse for maximum effect – and restricts the light from disturbing your neighbors. Luxous lets the most daylight reach the crop while saving energy and improving the greenhouse climate. Its translucent strips and closed structure are effective when in use, but also when not in use – as bundle sizes are unusually small. • Energy savings with maximized production thanks to highest light transmission. • Less risk of damage to plants as condensation forming on the screen at night is better absorbed. • Maximum light transmission even when not in use thanks to smallest bundle sizes. Greenhouse shelter, sidewall, and end wall. 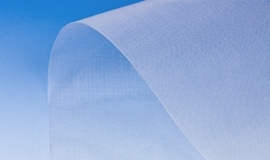 SOLARWOVEN ULTRA is a reinforced transparent greenhouse cover protecting yours Hi-Tunnels and Greenhouses. It blocks 90% of the sun’s UV radiation and saves energy when used inside the greenhouse. Withstanding hail, downpour, and the wind, this cover is strong and tear resistant – with a longer life than most other greenhouse plastics reducing your replacement parts list. This Solarwoven Ultra greenhouse perfect for your roll-up side walls, or fixed end walls. Contact Suntex For Solarwoven Warranty Information. Excluding pests from growing areas is the most effective insect control method. Keep harmful insects outside the greenhouse and useful insects inside with ECONET insect control screens. Made with fine yarns that effectively increase airflow capacity, ECONET allows for greater ventilation without compromising insect control. Available in different hole sizes, ECONET provides a secure barrier against even the smallest insects. All ECONET insect screens are sold with hole sizes based on measurements taken from real insects. Thanks to the uniform weaving process, hole sizes are consistent across the entire screen. Designed for exceptional performance and long service life, ECONET is UV stable and highly resistant – providing a durable insect control solution. ECONET 100400 – Available in FR (Flame Retardant to lower your insurance fees). Hole diameter for 4045 is .40mmx.45mm – keep out whitefy, aphids. Note: Select screens based on hole size and not mesh, since mesh alone cannot indicate a screens ability to exclude the insect of interest. Contact Suntex for Types Econet insect screen sizes available and tech support.